Anger can be stopped in its tracks if you know what your anger triggers are. Learning how to deal with anger is largely about understanding and anticipating it before it gets a chance to overwhelm you emotionally, leading to your saying or doing something you'll most likely regret. Knowing how to relax and de-stress yourself in difficult situations combined with some foreknowledge of your anger triggers can save you and others from the possible consequences of anger. Many of the things that get people angry are universal, meaning that for example an elderly Chinese woman in China could get angry about the same thing that would get a young Mexican man in Mexico angry. However there can be some differences in what causes anger across age ranges, gender and cultural backgrounds. For example someone visiting an unfamiliar part of the world for the first time may be oblivious to certain mannerisms and actions offensive to locals and thereby unintentionally arouse anger of some degree. Frustration and stress are major precursors to anger. More specifically this can involve things like being treated unfairly, say for example when your boss treats a co-worker better than you for no good or apparent reason. Being ignored and not listened to causes resentment and anger, like when you say something in a group conversation and everyone else ignores you and talks over you as if you're not there. Finding out that someone has been spreading malicious and untrue rumours about you would at least annoy most people. Being yelled at or talked down to would also provoke a degree of anger in many people. Inconsiderate behaviour by neighbours can, especially if it's prolonged, cause anger. Equally, inconsiderate drivers who drive recklessly and arrogantly are a prime cause of outbursts of anger leading to road rage incidents some of which have led to murder. Jealousy can fairly rapidly be upgraded to anger. The jealous person feels their sense of control and security being threatened and threats of any sort, whether real or imagined, are something that the more primitive areas of the brain and personality are likely to respond to with anger. Relationships and marriages have always been tricky ground on which to avoid anger. Two (or more) people living in fairly close proximity to each other for extended periods of time can be a breeding ground for mild resentments bubbling under the surface to boil over. A partner's quirks which at first may have been cute and charming can become annoyances which if not talked out and dealt with can become anger. Sometimes though it can be more subtle. A happily married man, successful and prosperous as an architect, his loving wife and children, all had a "dream" life in a beautiful home near the coast. Yet he kept having sudden and apparently inexplicable outbursts of anger over the slightest things. It didn't happen very often and never involved actual violence but he and his family were getting worried. It later emerged that the wife was a first rate organiser and administrator, managing much of the family finances, the kids, the home itself, and had a part time position with a publishing company. The husband was a brilliant architect and was very successful, making quite a lot of money and deriving a lot of job satisfaction from his work. He was the major breadwinner but was hopeless at managing home based and financial tasks and was also quite untidy whereas the wife wasn't. It later transpired that, on a deeper unconscious level, he'd felt inadequate in the face of his wife's super efficiency and competence. The hidden sense of inadequacy began to grow in his mind, gradually finding its way nearer to the conscious level where he began to experience it as a vague sense of threat. He wasn't really consciously aware of it but it had begun to manifest in various small ways, eventually leading to the uncharacteristic outbursts. The issue was later resolved satisfactorily after in-depth discussions with a therapist and a course of relaxation therapy. 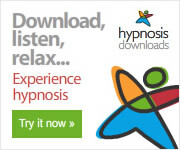 Along with an understanding of your own and others anger triggers and the development of the ability to physically and mentally relax at will, hypnosis downloads for relaxation and de-stressing are an excellent and effective way of making sure that your anger stays under your control and not you under its control.